“The French merchant Auguste Raphael Marty (1841–1914) established his own trading house, A. R. Marty et Cie, in Hong Kong in 1874. Information about A.R.Marty et Cie appears thin on the ground – further details would be gratefully received. 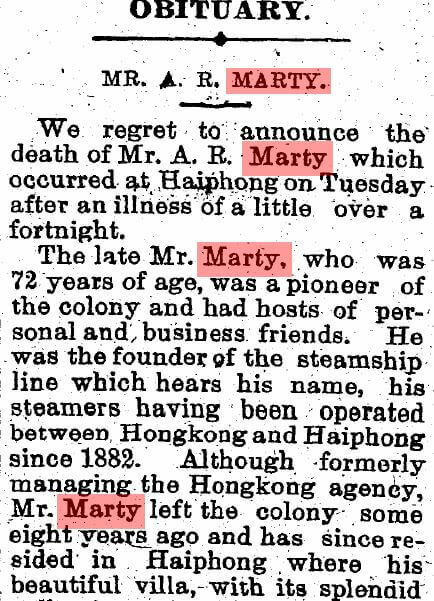 Stephen Davies suggests that Marty in HK was only ever a shipping company office. 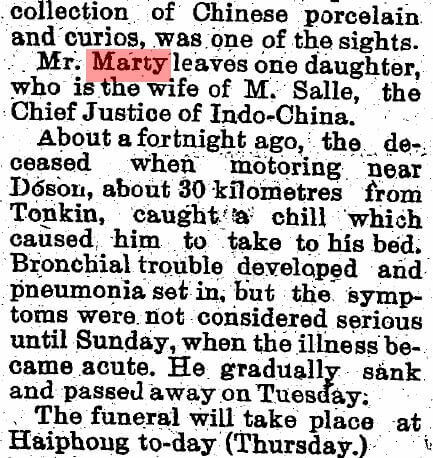 Auguste Raphael Marty’s obituary was published in the South China Morning Post on 17th December 1914. This article was first posted on 31st May 2017.